My parent-in-law came last Saturday 9 June 2007 from Bidor, Perak. Gathering sessions (all my in-laws) began on Saturday afternoon. Have lunch. Have dinner. The next day, 10 June 2007, we went for a dim sum breakfast. 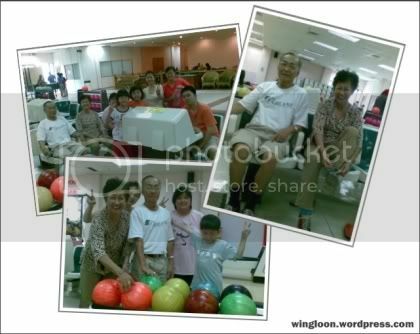 We ended up having a bowling session in Bukit Jalil club after the breakfast. It has been a very long time I didn’t play bowling since my college time. 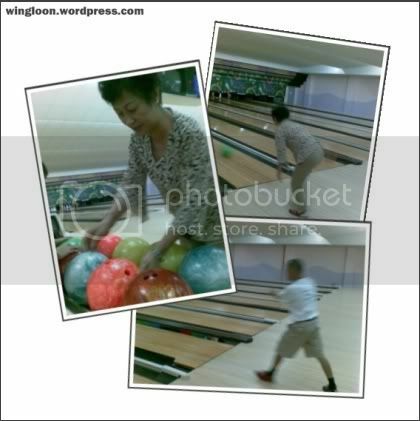 I was teased that I played like a PENGUiN during my bowling session with my “heng tai” long time ago.